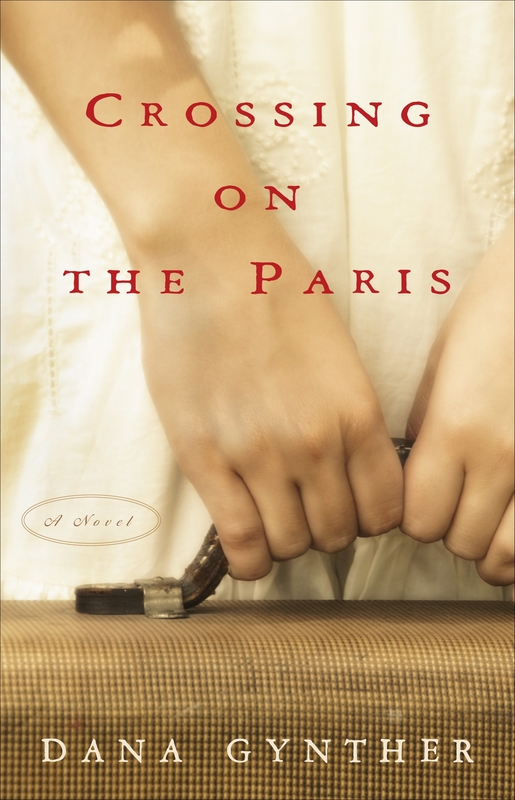 Exactly one year ago today, Dana Gynther released her debut novel, CROSSING ON THE PARIS. The story follows three women as they take life-altering journeys on the SS Paris (one in first class, one in second, and one in steerage), from Le Havre to Manhattan in 1921. In honor of the novel’s one-year anniversary, Dana is celebrating by baking a red velvet cake and kicking off Skipping Midnight’s author interview series. Enjoy! 1. It’s been a year since you released your debut novel, CROSSING ON THE PARIS, to stellar reviews. How has your life changed since you achieved the dream? How has it remained the same? It has been extremely fulfilling to know that my writing is being read outside my circle of friends and family—that my book is available (or checked out!) at most US libraries, that book clubs are discussing it, that thousands of people have chosen to buy it, that it is being translated into Russian. But beyond that mind candy, my life has changed very little. That is mostly due to the fact that I live abroad—I’ve spent the last twenty years in Valencia, Spain—and have not yet been able to stroll into a bookshop and see my work on the shelf (that must be so exciting! ), much less do readings or other events. It’s been frustrating… and something I intend to remedy the next time around. 2. 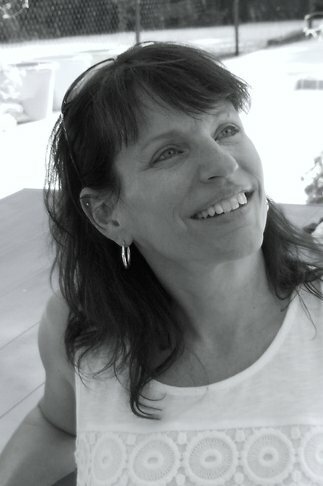 Writing about multiple protagonists is a daunting task for a debut novelist. How did you decide to format the story this way, and why do you think it worked? I had the idea for this novel while translating a museum catalog on ocean liners—their history, sociology, and aesthetics. While doing those articles, I found their most interesting aspect to be the huge contrast in the accommodations and services from First to Third class. Of course, anyone who wanted to cross oceans back then had to take a steamer—from famous millionaires to humble immigrants—and the conditions differed accordingly. That was what I wanted to explore when I decided to write this novel. One great advantage of having these three main characters is that it allows the reader to experience life in each class—First, Second and Steerage—and get a feel for the varying atmospheres, recreations, and fellow passengers. Each part of the ship was a world unto itself. 3. What will readers love most about this story – the story of three women from three completely different walks of life, all facing a crossroads on the same boat? Of course, the time period (the early 1920s) and the setting (all the action in the book takes place during the five-day crossing on the SS Paris) are attractive to most readers. However, this is a character-driven novel. The three protagonists are all very different—their ages, personalities, backgrounds, life experiences…—and I’ve found that readers generally have a favorite, the one they relate to or identity with more than the others. 4. I hear you’re busy working on your second novel. What can you tell us about that? I am currently revising my upcoming novel, “The Photographer’s Muse.” It’s a fictionalized biography of the Vogue model/surrealist muse/photographer/war correspondent Lee Miller. As you can see from all those slash-marks, she had a very diverse life. My novel picks up her story when, in 1929 at the age of 22, she goes to Paris to meet Man Ray. From that point, she has many adventures—from acting in a Jean Cocteau film, to beach holidays with Picasso, to the London Blitz, to being the first photographer to see the horrors of the Dachau concentration camp. It’s a fascinating story—about a beautiful, rebellious woman who reinvented herself again and again—and I think readers will enjoy getting to know her. I write in the mornings (usually from about nine to two pm, which is the Spanish definition of “morning”) in complete silence. I use a computer (I think only real eccentrics write any other way these days) and write chronologically—from beginning to end—but jot notes and ideas down for past/future scenes as I go along. When my kids come home from school I am done for the day. I don’t write on weekends; that time is for other things. That said, I still often scribble things down on scraps of paper for when Monday morning rolls around. 6. Thousands of people dream about going from polished manuscript to agented writer to debut author with a huge house like Simon & Schuster. Can you tell us a little about the process that worked for you, and what you learned along the way? Although I think there’s a lot of luck involved, it’s also a question of perseverance. Although “Crossing on the Paris” was my debut novel, it was not the first book I’d written. A few years earlier, I wrote “The Admiral’s Baths,” a work of historical fiction taking place in Spain. Although I got a few nibbles, after eight months of sending out queries, I still didn’t have an agent. Instead of throwing in the towel, I decided to put the publishing idea on hold and I started a new book. Now I realize that, back then, the “Baths” wasn’t close to being ready to send out! It was packed with irrelevant (but very cool) historical fun-facts, dragged in parts, and lacked consolidation. I’ve completely revamped it now and still hope to publish it in the future. But, it’s important to know that our first efforts—those newborns that we adore—are sometimes children only a mother can love. But time, distance, and honest feedback can turn those homely changelings into wonderful books. 7. How did you weather the rough patches? I had a lot of difficulty with the first draft of the Lee Miller manuscript. Working with a real person was very hard for me; I wanted to be as faithful as possible to her life story and personality while trying to write an engaging “novel”—yikes! Also, I needed to know a lot of background about the time period—especially World War II—but was in danger of bogging down my text with historical details. I admit, there were days when I was just plain sick of it. Sick of sitting in my chair in front of this screen, sick of the war, and sick of gorgeous, spunky Lee. But any writer worth her salt knows that you can’t wait for a muse, that you have to treat writing as your job—even on days when you can only eke out a few hundred words. I like to remember Stephen King’s advice from his book “On Writing” (highly recommended, even for people who don’t enjoy his fiction). He says to be kind to your future self: never leave the text at a troublesome spot, always get through the problem scene before you close shop for the day. Then, when you come back, you can continue working smoothly and not feel stumped, unhappy or like avoiding your text altogether. Invaluable advice. Well, along with all the great tips from Stephen King, from my agent I’ve learned to have an open mind (essential in this business). Flexibility is key (but don’t be spineless). To keep up with Dana, check out her website at DanaGynther.com, visit her on Facebook, or check out her page on Goodreads. She also promises to resume tweeting when she’s finished revising her latest work.